“Roll’em, ladies! ” said Alice Guy Blache a pioneer of cinema, in 1914. A century later women filmmakers continue to enrich our world. They resist, invent and break stereotypes. And their movies, which are full of humour, rage or impertinence, help us discover other realities, other truths. Elles Tournent promotes and enhances the work of women in the arts and cultural world in general and particularly in the audiovisual and media sectors. 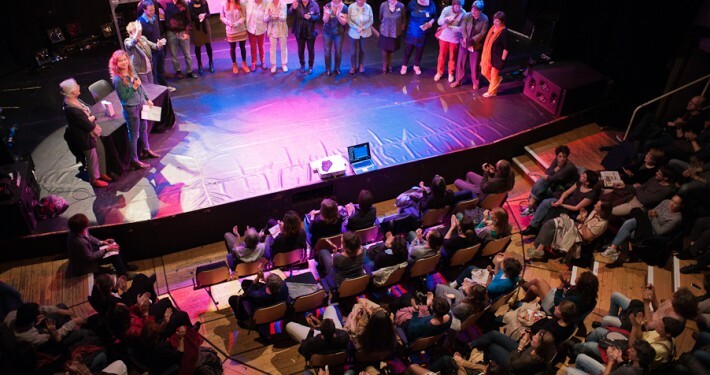 To this end, the association develops activities such as the creation and animation of socio-cultural events, festivals, exhibitions, workshops, conferences and artistic performances. General objectives: to contribute to the equality of men and women and the elimination of gender discrimination. The film world is largely male dominated. Film production is currently characterized by a strong imbalance between men and women. However, the production of high-quality work by women exists but it is struggling to reach the major distribution channels which are traditionally male. The Elles tournent association helps to reduce these inequalities through its activities. Specific objectives: to raise awareness and distribute films of women filmmakers from around the world. The association, now a reference in the world of women’s cinema, had forged links with international networks. It has contributed to allow Elles Tournent to hold an annual international festival from the start. 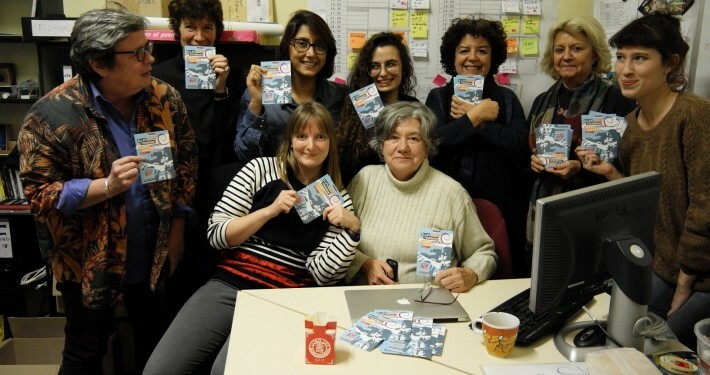 The organization also helps to circulate women’s films at local level through projects such as OTR (On the Road), offering to show commented women’s films on demand to local organizations. Cinema feeds our collective imagination and adds to the symbolic system. It also tells us a lot about differentiated perceptions of social and cultural realities. Many women filmmakers create and provide a representation of the world and themselves from a life experience and knowledge rooted in their sexual identity. These directors’ production, rich and varied, plays a pioneering role not only with regard to the contents of the films (choice of topics, treatment of relationships between women and men), but also the specific filmmaking form (special relationship to technique, time, space). Elles Tournent organizes an annual women’s film festival. Filmmakers are invited to present their films. The screenings are followed by a discussion with the audience. 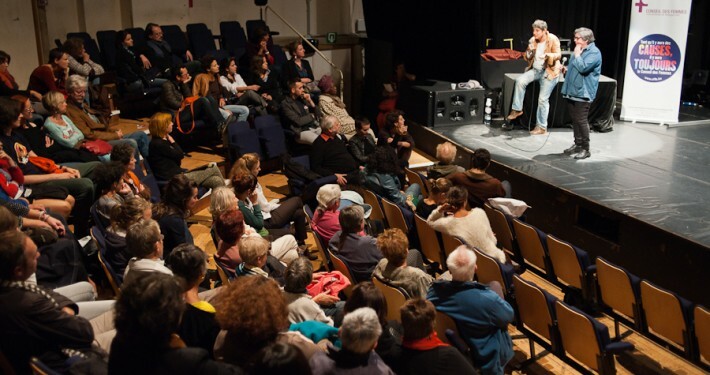 The event consists of a women’s film festival (+ – 20 sessions); the “Cinégalité” award is given to a student’s film which takes on board the theme of gender equality; “Think equality in the movies” for high school students, special screenings with an introduction to teaching images and followed by a discussion related to the notion of gender equality; presentation and debates bringing together experts ensuring a reflective or theoretical extension to the theme of the film; and MasterClasses offering the public and film professionals a technical lesson on one aspect of filmmaking.